Inspired by newly inaugurated Pope Francis’s affinity for light as a metaphor for change, LUMEN abstracts and re-contextualizes an act of spiritual contemplation. 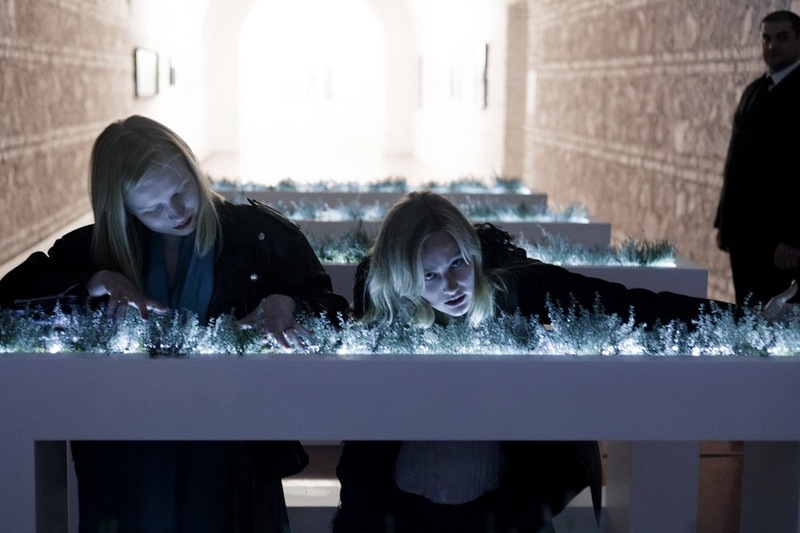 In keeping with a secular regard for the Pope’s palpable sense of hope, LUMEN, an interdisciplinary and multi-sensory experience synthesizing various art forms, reshapes contemporary spirituality by reconsidering the pew, a site for conventional prayer. Audiovisual elements and thyme plantings create an immersive, scented environment removing the pew from its archetypal context. The physical relic, or conventional object of devotion, is replaced with a video projection of light and a musical composition responding to the movement of the video. While the pew remains iconic in scale and orientation, it no longer demands the observer to acknowledge any singular beliefs, but rather encourages a new and open contemplative experience.